"Do you have an uncle from Koroni?" 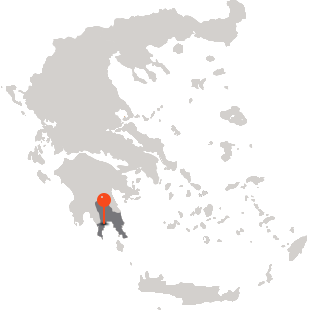 This is a question you could be asked in Greece if you are a privileged and lucky person with a lot of money, underlining the significance of this small yet important town. 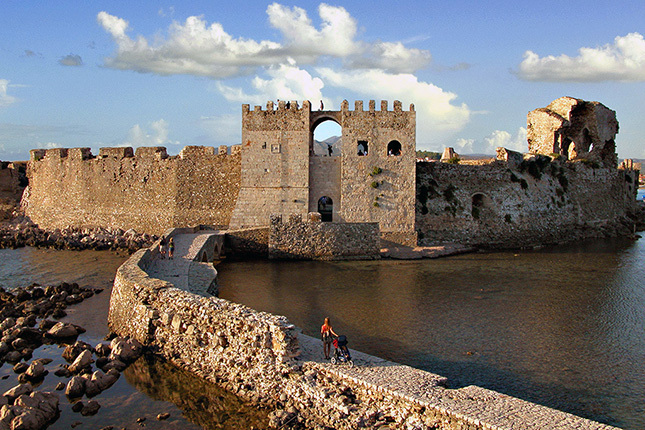 On this full-day tour, you will explore the medieval years of the South-Western coast of the Peloponnese by visiting some of the most important fortresses. Starting with Koroni, you will see its Castle and walk through the narrow streets until you reach the picturesque harbour. Next stop will be Methoni, another lovely small town with a remarkable castle built at the tip of the peninsula of Methoni. Here in 1806 Chateaubriand disembarked from a ship starting his adventurous exploration of Greece. Leaving Methoni, we reach Pylos, a picturesque small city in the west end of Messinia. 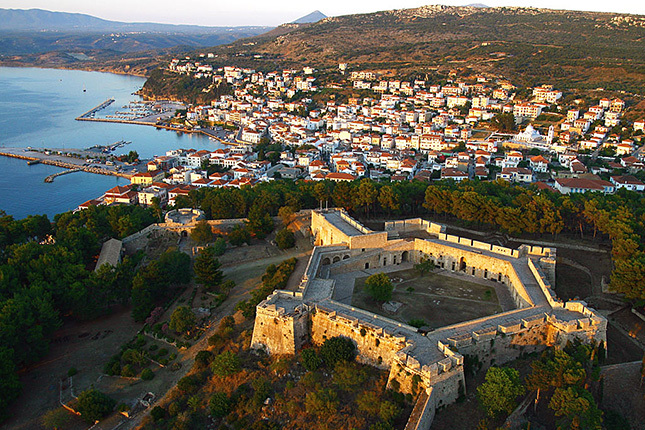 Explore Pylos and stroll around the town to admire Niokastro, which means new fortress. The castle dominating the city is also home to the Centre for Underwater Archaeological Studies. 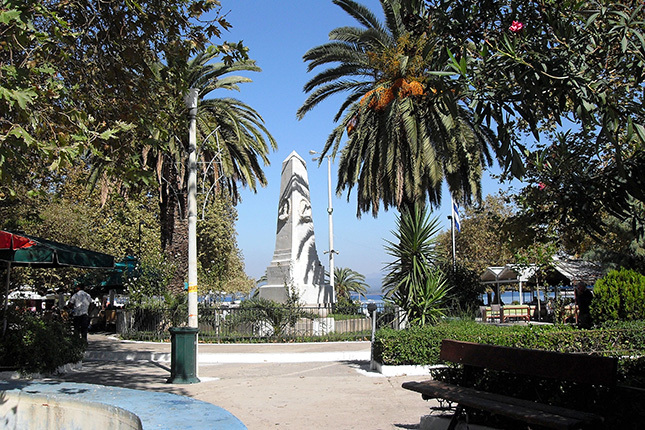 Below, the town, with the beautiful two-storey neoclassical houses, will give you the feel of being on an Ionian island. Begin your tour with a jump back to the days of the Ottoman Empire and the "Eyes of Venice" in the Mediterranean. Narrow passages will lead you to the gate of the castle of Koroni, one of the masterpieces of the Venetian military architecture. Cross it to find just a few inhabited of the many houses once seeking refuge from the pirates there. 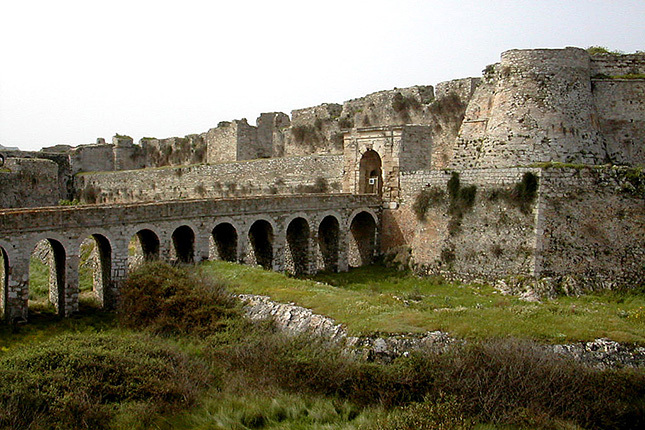 Continue on to the Castle of Methoni. At the south edge of the castle a fortified islet floats. 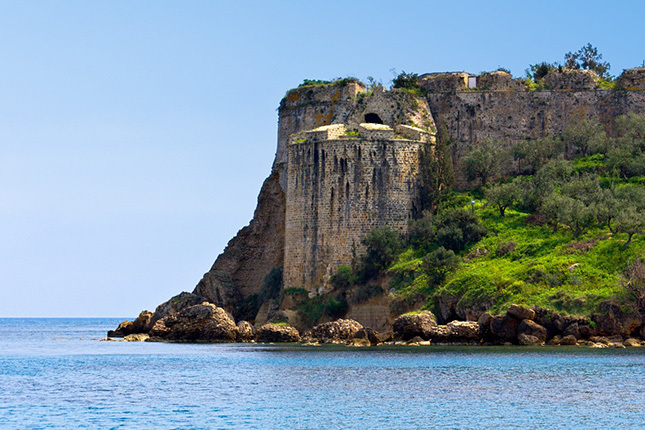 Bourtzi, as it is called, a prison and place of executions during the Turkish Occupation, was built in 1500 and is connected to the Sea Gate of the castle with a paved tiny road. No matter where you are in the city you are only a short walk from the beach – perfect for a walk along the coast. 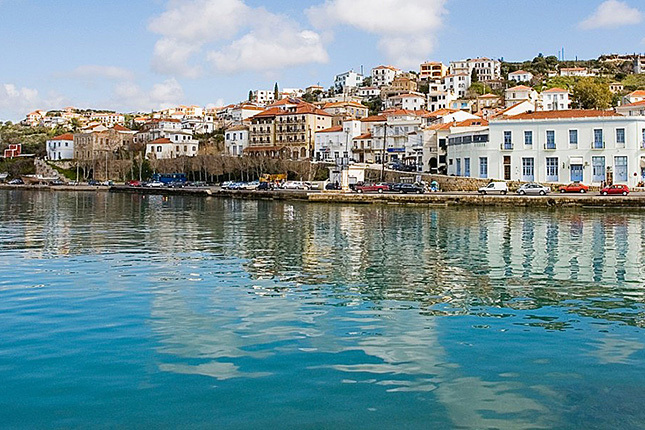 Then, complete your medieval exploration in the town of Pylos. The view from its Castle is breathtaking. Imagine ships in the Bay of Pylos and brave Generals fighting for Independence from the Ottoman occupation (1827).